When the Sega CD came out there were three games that interested me, interested me enough to buy one. 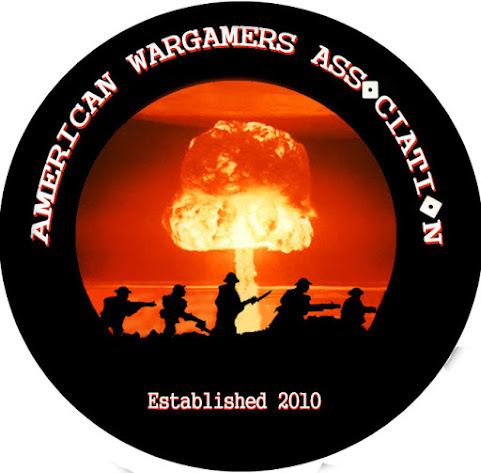 The first was Tomcat Alley which looks pretty good and had a great commercial, it isn't that bad except for one flaw that makes it very frustrating. The second was Snatcher and I think that anyone who's played it will agree it's one of the best on the system. The last game was Ground Zero Texas. Just look at the cover to that game, who wouldn't want to play. 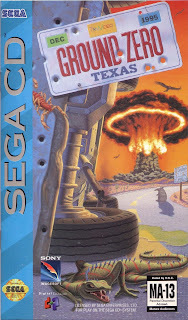 Ground Zero Texas is a Full Motion Video (FMV) game released in November 1993 for the Sega CD that was developed by Digital Images and published by Sony Imagesoft. It is an FMV shooter game that takes place in a small Texas town that is under attack by aliens. Gameplay revolves around you switching between four different cameras that are linked to weapons that you fire at the aliens on screen. The game throws one to two enemies at you at a time and you need to shoot them before they shoot you. The background of the scene is a still image of a specific part of town. When the enemies appear on screen the game plays a video of the bad guy coming at you. If you hit him the screen cuts to a quick video of the bad guy being shot and then it switches back to the static scene before more bad guys show up. Your cameras have shields and once they are hit too many times they fail and then your camera takes hits. When it takes too many it is destroyed but you have troops that will repair them, you can get three repairs for all four cameras, once one camera is destroyed for good the game is over but you can continue. There are four sections to the game and they get harder as you progress. When you are shooting at the bad guys you move a cursor around with the controller to kill them. This game would probably be more fun if you could use a light gun but you can't. The ending of one level has a code you need to input in order to continue and the characters in the game tell you what they are during gameplay. You can miss these by being at the wrong camera like I did when I last played it but I was able to crack the code and continue on pretty easily. The gameplay isn't really good or bad, just average. It can get a bit boring, especially if you fail a level and have to repeat it. The game does randomly send the bad guys to you so you can't memorize where the next enemy will come from which helps when replaying the game. 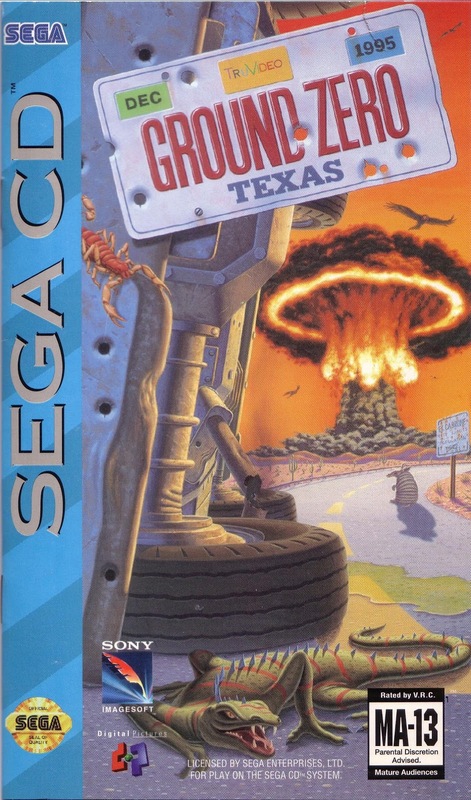 When I saw this game before I got my Sega CD I saw what looked like an awesome shooter game where you help a town in Texas fend off an alien invasions. It had everything going for it and to be truthful I loved it when it came out. 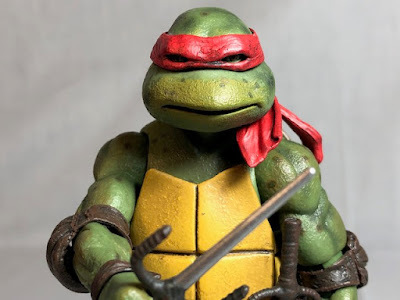 I loved how all the characters had that "cool" attitude from the 90s. Ground Zero Texas has one of the best scenes ever in a game that plays when you die and the game ends. Your superior kicks a door down to tell you're through. It was funny then and it's funny now. The story is nothing new, aliens invade American and you need to stop them. If the scenes were taken from the movie it probably would have no problem being a B movie. The movie scenes were filmed by a real film crew at a cost of 2 million dollars and were directed by Dwight H. Hill who made the films Marked For Death and Halloween 4: The Return Of Michael Meyers. In today's world of Hollywood A-listers working on video games this means nothing but in the early days of FMV games on CDs, it was a pretty neat. If you don't like FMV games at all I suggest you skip this one. If you like crappy B action movies and will give FMV games a chance then I suggest you give it a try. Emulation is free and the actual game cost under 20 dollars so it won't kill the bank. It's not the greatest game for the Sega CD but it's not terrible and plays pretty good. I rank it a 7 out of 10.